My mega-navigation menu is now a dropdown - how do I get my mega-nav back? Can I change the appearance of the Dynamic checkout button? Are there translations of Atlantic available other than English? Can I control which products appear in the Related products feature? I have enabled product image zoom, but it isn't appearing - is this a bug? In order for Mega-nav menus to be active, each 2nd-tier item must have at least one 3rd tier item nested below it. 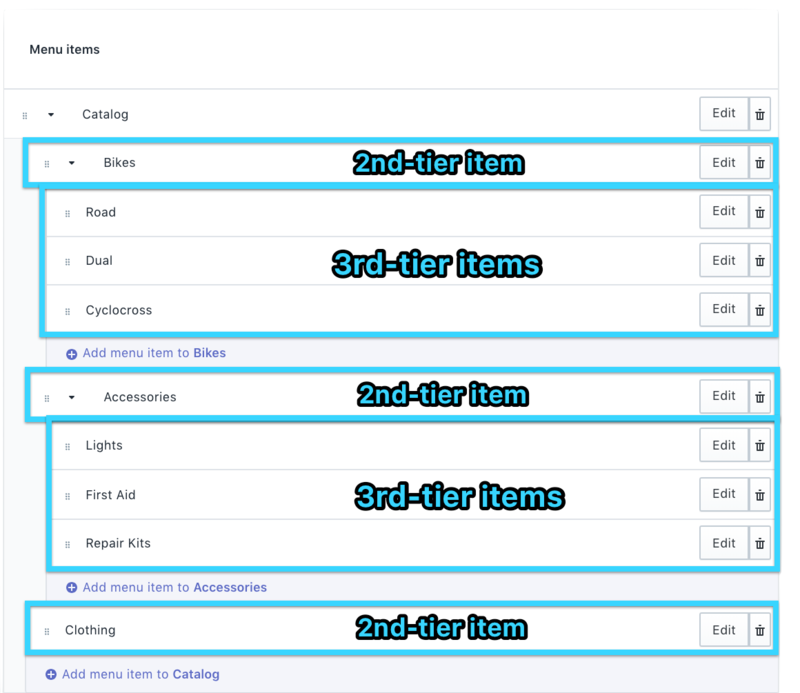 What is often the case with missing mega-navs is an added or removed item from the menu that results in a 2nd-tier item missing a 3rd-tier item. Atlantic allows controls for enabling or disabling this feature, but the contents of the Dynamic checkout button are controlled by the platform in accordance with requirements set by the payment provider. This would extend to every aspect of the button, except for the positioning and alignment on the page. For more information about the Dynamic checkout button, check out this article or contact Shopify Support. Atlantic is only available in English, but text content can be translated manually through the Edit languages settings. There are popular apps that provide alternate language options, but the integration of these apps can introduce conflicting code that may cause functional and/or cosmetic errors. 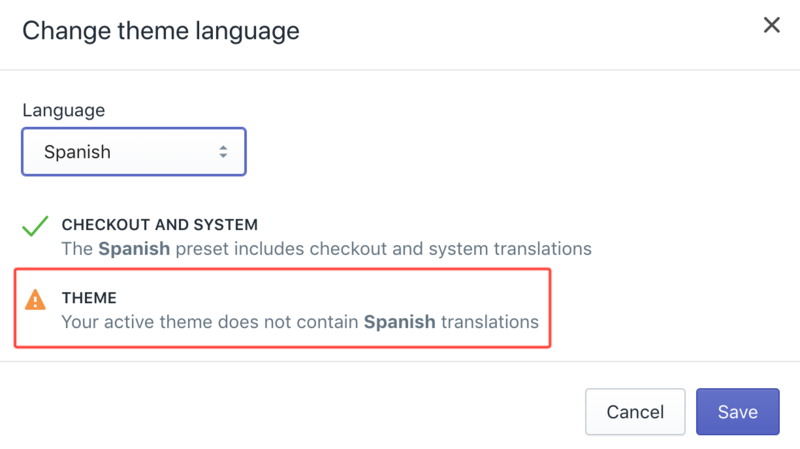 Note that there may be a Change theme language option present in your Edit languages settings, but this does not apply in our theme's case. This should not be enabled for any language other than English. Related products will pull from the collection(s) the product belongs to, ordered by whatever sequence that collection has been set to display. If the product belongs to multiple collections, it will pull from the first one (alphabetically). In other words, you can configure which collection(s) the product belongs to, but which products are displayed depend on the collection's title and preferred product order. I have enabled product image zoom, but why isn't the feature appearing? For image zoom to work with a product image, the image must meet certain pixel width requirements. The minimum width for an image to comply is 1000px. Considering this, confirm that the images affected are above this minimum. You can do so by selecting the image in the Product admin, then entering the Edit image options.